Chemistry is the most central of all the sciences. Much of our understanding of the material world is based on the areas of Chemistry which are conventionally called Analytical, Inorganic, Organic, Physical or Theoretical; but Chemistry is also central to other disciplines such as Biochemistry, Biotechnology, Materials Science, Medicine, Mineralogy, Molecular Biology, Pharmacology and Physics. This breadth is reflected in what we do here at KNUST. 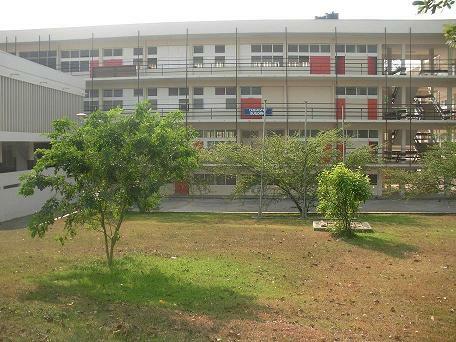 The Department of Chemistry at KNUST is Ghana’s and one of Africa’s finest departments of Chemistry. We are dedicated to the creation of knowledge in all branches of chemistry and the development of human capital and leadership for the advancement of Ghana, Africa and the world. The Department is home to very highly qualified faculty and extremely motivated students. We offer a four-year BSc. (Hons.) degree program, a two-year MSc./MPhil. Degree program and a three-year Ph.D program. Our training program provides a unique combination of manual, theoretical, analytical, numerical, and problem-solving skills for our students. At the undergraduate level there are lecture courses in the general areas of analytical, inorganic, organic, and physical chemistry, plus many more specialized courses. Laboratory experience is provided in inorganic and organic synthesis, analytical methods, and physical chemical measurements. At the graduate level, courses are normally taken only during the first year, but the weekly departmental seminars are a rich source of new knowledge throughout the entire graduate career.